“Colonel James Achilles Kirkpatrick was the British Resident or Ambassador at the Indian court of Hyderabad between 1797 and 1805. Kirkpatrick had gone out to India full of ambition, intent on making his name in the subjection of a nation; but instead it was he who was conquered, not by an army but by a Hyderabadi noblewoman called Khair un-Nissa. 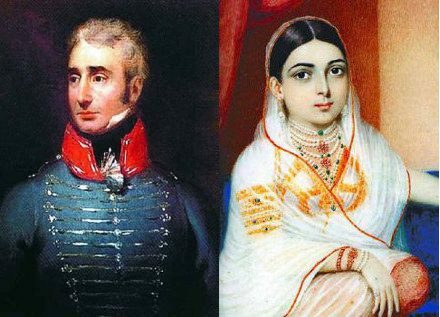 In 1800, after falling in love with Khair, Kirkpatrick not only married her, according to Muslim law, and adopted Mughal clothes and ways of living, but had actually converted to Islam and had became a double agent working against the East India Company and for the Hyderabadis.” – William Dalrymple, White Mughals. I intend to post my in-depth thoughts and analysis of White Mughals on this blog. Your comments, suggestions and criticisms are welcome.